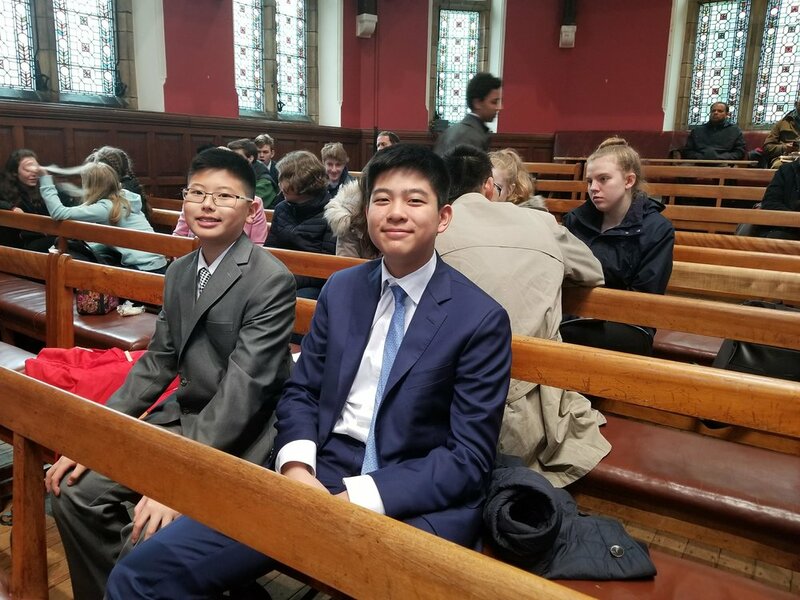 Just this weekend Eric Li and Victor Tong travelled to the United Kingdom where they competed at the International Competition for Young Debaters at Oxford University. The competition features over 100 teams with the best Under-15 debaters from places like Hong Kong, Ireland, and India. Eric and Victor qualified for the tournament after placing high at the Queens University Debate Championship in January. Their rounds went fantastically and in their last round of the day, they came within inches of breaking to the final! Still, we are so proud of their hard work and talent. Good job guys!